A crazy but mint idea, making a parka out of old tent material, you’re hardly going to get wet now are you! Crafted from 1950s U.S Army Shelter Tent Fabric Material in Los Angeles, California. The place renowned for rain and bad weather. It’s the special edition of the infamous Monitaly mountain parka. 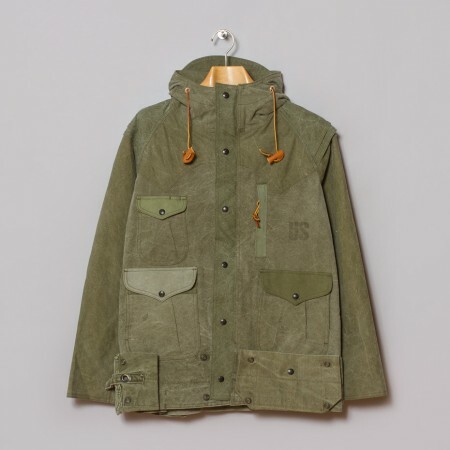 A parka that would definitely keep the Manchester weather at bay available now at www.oipolloi.com.